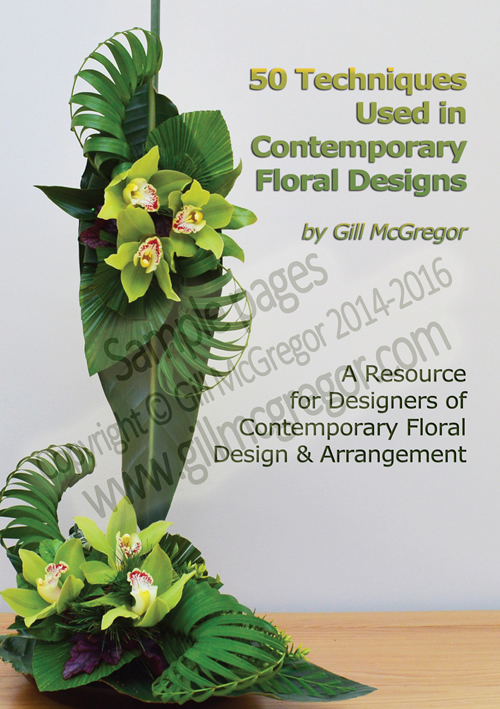 Gill McGregor NDSF is a fully qualified florist holding the Society of Floristry NDSF Diploma, equivalent to the current Level 5 C&G Floristry qualification. Gill is also a fully qualified Further Education (FE) teacher and the holder of the Certificate of Education. With Gill’s floristry and teaching skills Gill teaches a host of different floristry workshops- from starting up your own Floristry Business, specialising in the teaching of specific Floristry designs to meet the needs of Gill’s students- to updating / refreshing Floristry Skills. One to One teaching sessions, Skills for 2 or as training as a group – Gill is able to teach them all. Many of Gill’s floristry students request bespoke classes/workshops to meet their commercial/ learning needs for working in the Florist industry. Others attend Gill’s classes to help achieve their qualification goals whilst training in college- one to ones just help to reaffirm, provide greater confidence and help consolidate their practical skills where a one to one class provides undivided attention and teaching. Gill's experience encompasses the management of thriving retail floristry businesses in Central London- decorating the Savoy, The Dorchester, the Hilton- well too many to mention. Gill also, runs a floral and balloon decorating business specialising in wedding designs and decor, participating in wedding fairs and wedding fashion show catwalks, all these activities underpin Gill’s expertise for developing courses. Gill’s experience means that Gill can design a course/ workshop specifically for you. All you need to do is provide a list of what you want to learn and Gill will design a workshop/ set of learning sessions which will cover the teaching of each design with commercial viability in mind. You will receive a copy of the programme with its own cost to cover all the materials required- all you need to do is to bring a camera, pen and paper and your scissors- Gill provides the rest. Heavily involved in the promotion of the Florist industry Gill participated in the writing of City and Guilds Floristry qualifications for over 20 years and has demonstrated Floristry skills and techniques at eminent Floristry shows in the UK, Essen, Paris and Kansas. Gill received the prestigious City and Guilds silver medal (highest accolade) for her achievement in the Level 4 Floristry Business Procedures qualification in the UK. Over the years Gill has taught 1000s of Floristry students who now run successful businesses in London and the Home Counties.